The NHS Diabetic Eye Screening Programme is currently exploring the possibility of moving towards a national IT system to find out if it would help improve local diabetic eye screening services in England. We are now halfway through the discovery phase of this project. This a chance for everyone involved in diabetic eye screening – from clinicians to patients – to tell us what their user needs are. Put simply, this means we are asking people what they would like a national IT system to provide. We’re looking for feedback both on what currently works well and what people would like improved. We have already visited several local screening services and will visit more over the coming weeks. Workshops have also been arranged. 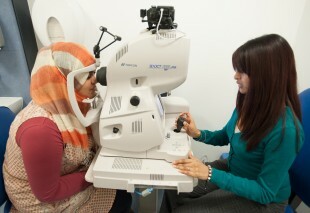 Please encourage as many diabetic eye screening colleagues and patients as possible to complete the surveys. The deadline for completion is Friday 29 January. Throughout the project we will use an agile approach and work closely with our contractors. This new way of working has already helped us to make rapid progress. as a screener I want to be able to get a full list of patients who attend the clinic and related appointment notes so that I know who has to attend and if there's something important to take into consideration for each appointment. The outputs from this Discovery Phase will feed into any further phases if we are given the necessary approvals to proceed with this national IT project.